In April 2016, Sue traveled to Charleston, SC, near Donna's home, where DUH was reunited with David Ball to present two screenings of the movie, Fix It. David and Dr. David Keeley were members of PNHP - SC, Dr. Keeley being president at the time, and David being one of its co-founders. Though the crowd was small, we were joined by a group of students from the Medical University of South Carolina (MUSC) at the morning show, as well as Dr. Marta Hampton, also a PNHP - SC member, who provided ample goodies for the audience that evening. It was a great trip. Donna and I got to enjoy a lovely lunch in Orangeburg with SC union dynamo Donna DeWitt to talk healthcare and politics. Sue also got to meet Donna's two dogs, Noel and Pecan. 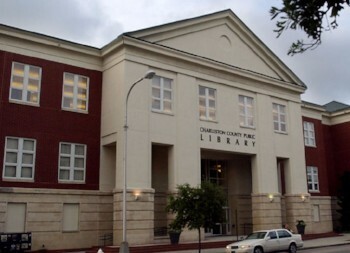 Charleston Public Library, where the screening took place. DUH teamed up with Debbie Silverstein and the dedicated volunteers of SPAN-Ohio to present two screenings of the new movie, Now Is The Time. Laurie Simons and Terry Sterrenberg, the filmmakers, also joined us. Our first stop was the Medical School of Ohio State University where student Dan Brown had arranged a great room and snacks. 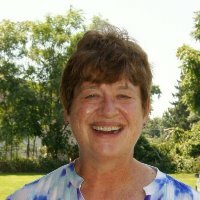 Debbie Silverstein, the fearless leader of SPAN-Ohio (Single-Payer Action Network). She is GREAT to work with! From Columbus, we traveled to Cleveland Heights and the Cedar Lee Theater. The crowd was so big here that we had to move from a smaller theater to a larger one.